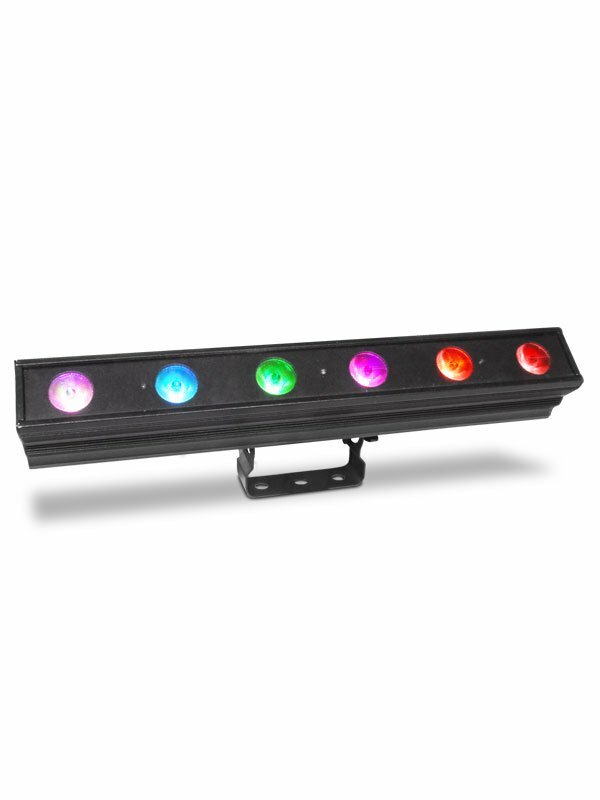 Colordash Batten-Quad 6 is a linear wash fixture with 6 individually controllable quad-colored RGBA LEDs outputting any variation of white as well as richly saturated colors, thanks to the inclusion of amber LEDs. It pixel maps beautifully when used in multiples because it maintains an even pixel pitch. Setup is easy with a hanging bracket, floor trunnions, 3- and 5-pin DMX connectors and secure Neutrik® powerCON® power in and out.